TPNC 2016 will take place in Sendai, in the northeast (Tohoku) region of Japan. The city was founded in 1600 and is nicknamed the "city of trees". It is the second largest city north of Tokyo. It takes about 100 minutes to reach Sendai station from Tokyo station by bullet train (Shinkansen). 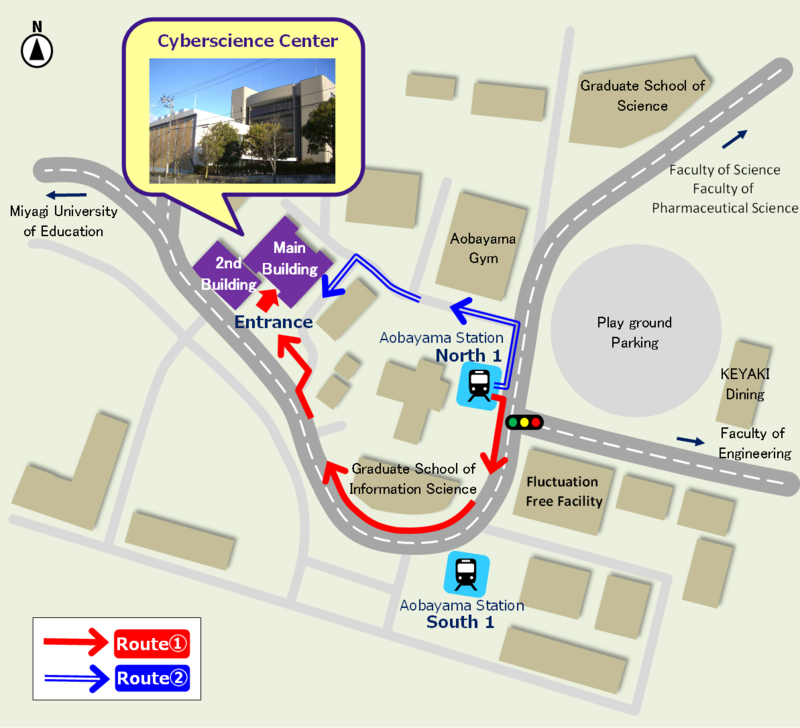 The venue will be the Cyberscience Center, Aobayama Campus, Tohoku University. It is a 10-minute subway ride from Sendai station to the venue. By subway, taking the Tozai Subway Line, you can easily get to Aobayama station (No. T02), which is close to the conference venue; it takes about 10 minutes. From Aobayama station to the venue, it is a 5-minute walk. By taxi, you can arrive at the conference venue in about 15 minutes. You can reach Sendai station from Tokyo station by bullet train (the JR Tohoku Shinkansen). Tokyo has the two major international airports in Japan: Tokyo (Haneda) international airport and Narita international airport. Also, Sendai has an airport, Sendai international airport. You can fly to Sendai airport from other cities in Japan or a limited number of international cities. It takes about 100 minutes to reach Sendai station from Tokyo station by the JR Tohoku Shinkansen Hayabusa. Instead of Tokyo station, you can also get on the Tohoku Shinkansen from Ueno station. Tokyo station can be accessed from Tokyo international airport by train (30-40 mins.) or bus (40 mins.). In particular, the bus is directly connected with Tokyo station, whereas the fare of a train is reasonable than that of the bus. Click to the links to see the detail information on train and on bus. Ueno station is directly connected with Narita international airport 40-70 minutes by train. Click to the link to see the detail information on train. Sendai station can be accessed directly from the airport 15-25 minutes by train. Click to the link to see the detail information on the train. Please note that Sendai airport has only a small number of international flights, nevertheless it has many number of domestic flights.